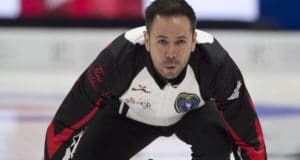 REGINA – Alberta is a win away from setting a record for most Canadian men’s curling crowns, and if it happens it will come from the latest in a long line of sharpshooting skips the province has produced. REGINA – Perfection can’t be beaten. John Epping found that out the hard way. Team Canada skip Brad Gushue was scored at 100 per cent in a 6-2 win over Epping’s Ontario (Toronto) squad in the Page playoff 1-2 game Saturday to advance to the final of the 2018 Tim Hortons Brier, presented by Mosaic. REGINA — The all-stars and other award winners at the 2018 Tim Hortons Brier, presented by Mosaic, were announced on the closing weekend of the championship. 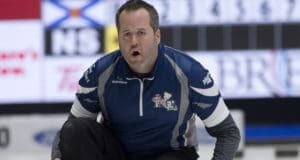 REGINA – Brendan Bottcher believes his Alberta team is flying under the radar at the 2018 Tim Hortons Brier, presented by Mosaic, but his last shot Saturday just might have blown his cover. REGINA – Play it again, boys. The Page playoff games at the 2018 Tim Hortons Brier, presented by Mosaic, will be repeats of the matchups on the last draw of the Championship Pool Friday night at the Brandt Centre. REGINA – The stakes will be just as high this weekend as a year ago, but the stress level won’t be for Brad Gushue at the 2018 Tim Hortons Brier, presented by Mosaic. 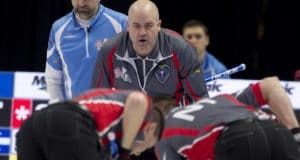 REGINA — Veteran Jamie Koe ended his 12th trip to the Canadian Men’s Curling Championship on a winning note Friday morning at the Brandt Centre. 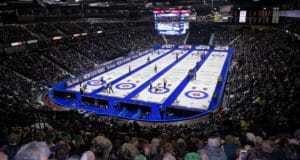 REGINA – They are the 2013 Tim Hortons Brier champions and the 2014 Olympic gold medallists. 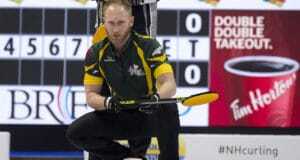 But that was then and this is now — the 2018 Tim Hortons Brier, presented by Mosaic, and Brad Jacobs’ Northern Ontario team wants to return to the top of the podium. REGINA – The pro-Saskatchewan crowd at the 2018 Tim Hortons Brier, presented by Mosaic, has been anxious to cheer anything positive for its home-province team. REGINA – Jamie Murphy should sleep well knowing he avoided a nightmare scenario that would have kept him up late with an early morning wakeup call. REGINA – Advantage Ontario. Doesn’t matter which one. 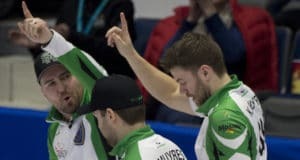 REGINA — If you believe in the concept of certain victories making statements about your team, Brendan Bottcher’s Alberta champs accomplished that Wednesday morning at the 2018 Tim Hortons Brier, presented by Mosaic. REGINA – The weather outside the Brandt Centre cleared up and so did the Pool B playoff picture at the 2018 Tim Hortons Brier, presented by Mosaic. REGINA – It was almost like a game back in the day at the U of A. 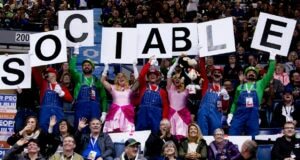 Almost, but not quite, because this was a battle in the 2018 Tim Hortons Brier, presented by Mosaic. 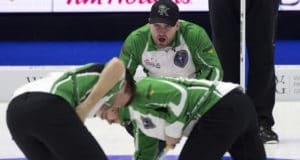 REGINA — An 0-2 start to the 2018 Tim Hortons Brier has been long forgotten by Steve Laycock’s Saskatchewan team, and a three-game win streak has revved up the crowd at the Brandt Centre.